Medi-HealthCare.com has been providing medical equipment and supplies since 1985! From electric wheelchairs to rolling walkers and everything in between, Medi-Health Care, Inc. has the right product for your needs. Our volume buying allows us to offer new manual wheelchairs, electric wheelchairs, electric mobility scooters, wheelchair and scooter lifts, and lift chairs at the lowest possible prices everyday. We carry all the top brands including Invacare, Essential Medical, NOVA Medical, Roscoe Medical, Pride Mobility, Drive Medical, TiLite, AirSep and many more. 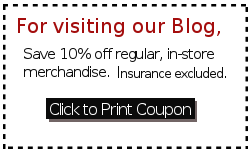 Shop our online store at www.medi-healthcare.com or come in person. We are located at 401 Bartow Rd., Lakeland, FL 33801. Welcome. I hope you find this information helpful. We post new product info and industry news from time to time.